The general rule in the kitchen and in the makeup bag is that everything should have more than one purpose. You should have no use for a knife that only cuts paninis, or a lip stain that doesn’t also work for cheeks. The same goes for your hair straightener. 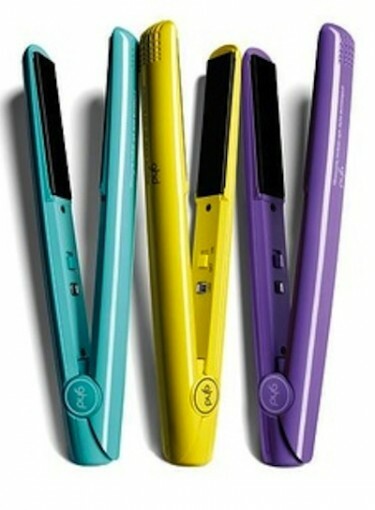 When it comes to hair styling tools, flat irons that curl are a multi-tasking must. When choosing the best flat irons that curl, there are a few things you want to look for. As with any hair styling tool that uses heat, it’s best to find one with ceramic plates to minimize damage to your hair. Look for a relatively thin flat iron with rounded edges to ensure your hair will curl smoothly. The 1" ghd Classic Styler ($185) is a good option because it gets relatively hot on the outside as well as the plated inside clamp. For a budget-friendly option, try the Biosilk Ceramic Flat Iron ($56). The tourmaline technology produces negative ions that will interact with your hair to seal the hair cuticle for a long-lasting curl. Once your curls are in place, try these 12 easy styles for curly hair. Cut down on wires cluttering your counterspace by replacing your straightener-curler duo with one of the all-in-one superstar flat irons that curl. Looking to cut out heat tools altogether? Try these 10 blow dryer-free hairstyles.